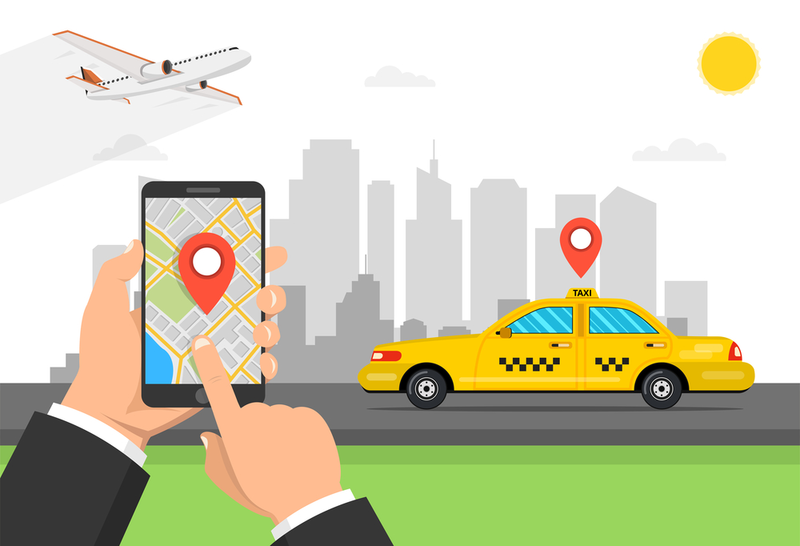 With the introduction of taxi-hailing applications, the traditional taxi-hailing industry has undergone changes and these applications are governing the industry now. With the support of robust application and powerful internet at their side, they have taken over the whole industry without even owning a single car. The driving force of these applications is that they provide services to users with comfort, convenience, safety and at affordable rates. Being influenced by the success of these applications, many startups have also entered this business and are successfully operating in places where these giants have not reached yet. To make your application a roaring success, you need to identify who your target audience is. To determine that you must analyze your competitors and their potential customers, the factors that work behind earning them more customers, and the strategies causing them to return again. By implementing those strategies you can also earn customers for your application. However, you can not rely on them forever. In the future, you need to plan new strategies of your own to keep your application working. But the strategies of competitors will earn you enough time to plan new strategies. The main motive behind using the application is to ease the booking process. Previously, when users wanted to book a ride but sometimes were not able to because there was no nearby cab available. Therefore, to resolve this problem the taxi-hailing applications introduced the concept of advanced booking of the ride. Using this feature, the customer can easily book a ride in advance and can be relieved from the worries of not finding the ride at the moment. As the requirements of users keep on changing, you must try to fulfill all with your application. A normal 4 seater cab would carry 4-5 persons simultaneously. But what if a user needs a cab that can carry more than 4 people? Therefore, the feature of choosing the type of car must be enabled. i.e., a normal cab that can carry 4-5 people or an SUV that can carry 6-7 people. By giving this option to users, you also ease up the booking process. When a user books a ride, the driver details are shared with them immediately. But as the user is supposed to travel with the driver who is unknown to them, the aspect to consider over here would be of the security of both. Therefore, enabling the feature of live-tracking the ride will be helpful to users as they can see their current location on their devices and can share it with their trusted contacts easily. When customers book a ride online, they are concerned about the total fare charged for the services. Therefore, the taxi-hailing applications have introduced their unique pricing policy to avoid any conflicts. According to it, they charge a fixed amount per kilometer traveled. When users book a ride, they are provided with the estimated fare calculated by the application immediately. Therefore, the user can know the fare in advance. Also, the ETA is displayed to them. ETA stands for Estimated Time of Arrival. The application should also display the estimated time that the cab will take to reach to users’ pick up location. Above features are the heroes of the existing taxi-hailing applications. By introducing these features in your application too, you can gain user satisfaction easily. However, to promote the use of your application you need to consider certain effective promotional strategies that can help you reach to your target audience as fast as possible. Even if you are offering excellent services to users your prices should be kept as low as possible from your competitors. This purpose can be served by offering discounts to users. As users are looking forward to an application that serves their purpose up to the mark with affordable cost, offering discounts at first is a good choice to make. As the user returns to your application, you can reward them with certain offers and promo codes to avail discounts on service charges. Thus, using the strategy of discounts you can turn your possible customers to your regular customers. However, it is not easy to succeed in this business as it seems. In order to gain users’ trust, you must provide them with excellent services at affordable rates and with fulfilling all the criteria of them. The first impression of your company will be established from the application that you provide. Therefore, it is necessary that your application works efficiently and contains all the necessary features in it. So, before handing over the task of development, you must first do the survey and gather all the requirements and design your application accordingly. As the list of features keeps on increasing, the cost of development also increases. But you can not cut down the list of features as they are necessary to obtain an excellent application. Therefore, using a cost-effective uber clone script is a good option. These scripts have been developed already and you can own an application with spending less.